McDonald's Introduces the Bite Sized Big Mac - Coming July 1, 2017! McDonald’s Introduces the Bite Sized Big Mac – Coming July 1, 2017! Are you ready Big Mac lovers?? A new way to eat the Mac is coming in July! According to McDonald’s spokesperson Brady Blitzer, this is the “hottest” new trend for on the run meals. 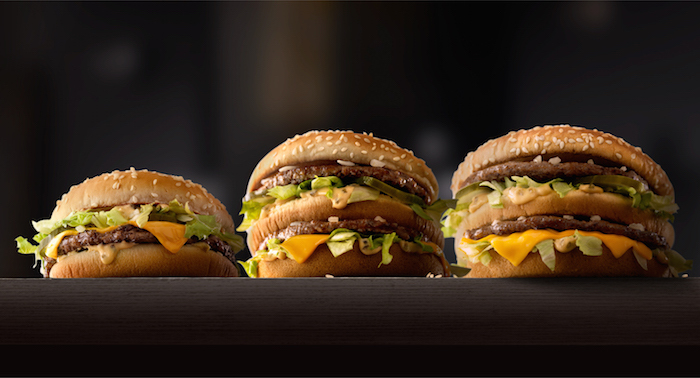 According to Blitzer McDonald’s will be offering 6 mini Big Mac sliders for only $2, but not before they give them away for FREE on July 1, 2017. They will be at every McDonald’s around the world on this day, so mark your calendar and be a part of this epic reveal! Tell your friends, but don’t share your sliders! Guaranteed you will want them all to yourself!